Published on 24. June 2012,	by marcus in Games. 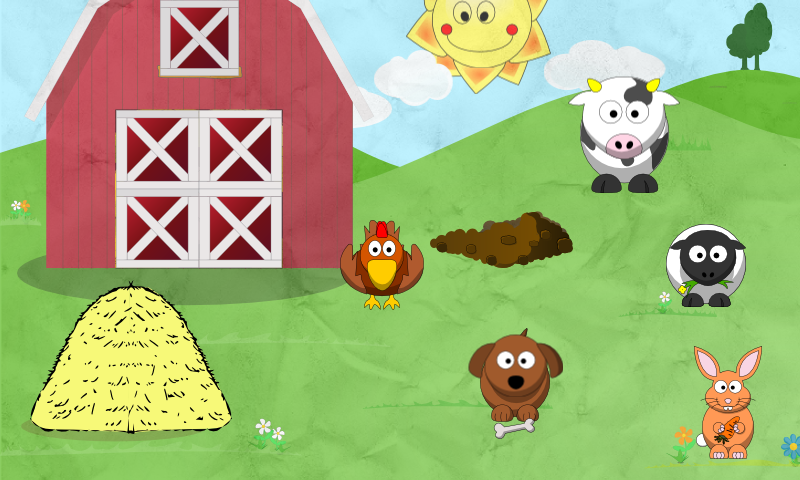 Here’s the first screenshot of my game “Cute Animal World for Toddlers” (title is still a draft). Hope you like it! When clicking on the head of an animal, they begin to shake it and make some noise. I think it’s really cute and funny. I hope the kids will think so, too.